This review proves that Fast Profits of Michael Carson is a disgusting scam. 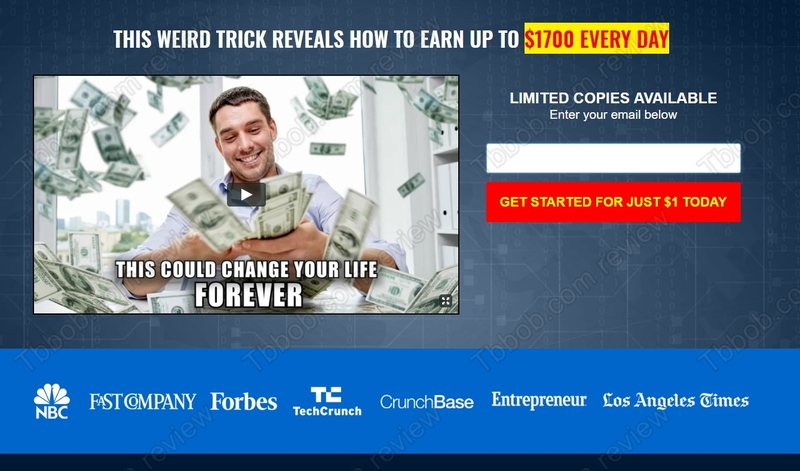 According to Carson, Fast Profits is a program that uses a wierd trick to make $1700 every day to every user. You can get started with Fast Profits for $1. But is it worth the money, and most importantly worth your time? Fast Profits is a dirty scam and we can prove it. We did not even need to investigate what exactly is the program about, because there are obvious proofs that it is a scam. The guy who is trying to sell you his software is a scammer. Michael Carson is certainly not his name, he used it to hide his identity. As you can see on our picture, his photo is a stock photo, so he is lying about his identity. In the Fast Profits video you can see people endorsing this program. They say they have been making money with it, but they all lie for money. These people are paid actors, they have never made a single cent with Fast Profits. You will see the proof on our picture. Fast Profits is a scam, it is run by a scammer and it is trying to convince you with fake reviews. Stay away from it! There are no weird tricks to make money in trading, you need to learn and build a profitable strategy. You can try it on a free demo. And don’t forget that in trading you can make, bud also lose money, so be careful.